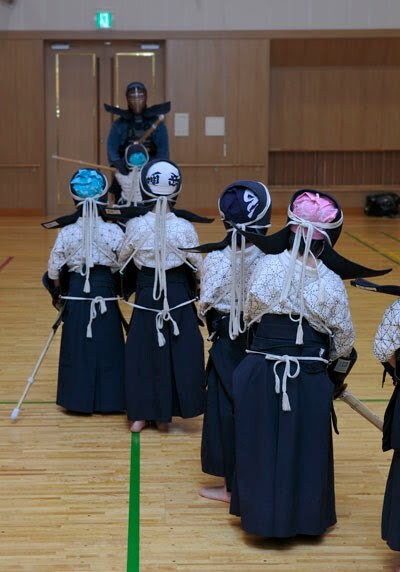 The Japanese university kendo club is the perfect environment for learning and improving kendo. Usually with at least one high grade teacher to direct training and correct faults, members rely on each other as training partners. Given that there is a maximum 4 year age and experience gap, groups are usually highly cohesive and supportive, with the more experienced seniors leading and encouraging their juniors. This encouragement may have occasionally in the past created some pressure for those at the front-end of the process, but most ex-university kendo players look back with appreciation at this stage of their kendo careers. Those practising in general dojo face a much broader range of opponents. In smaller dojo, particularly in the West, if there are only a few of you, then you have no choice as to whom you practice with. Mawari-geiko may place you in front of a 25 year old 4th dan or a 60 year old rookie. In both cases the task is the same – to ensure that you each get the most value from each keiko. There are some simple rules that guide us in most situations. If you are training with a much higher grade it is up to you to attack as well and as often as you can. If your opponent is your obvious junior you need to make and allow opportunities for him to attack. This all sounds fairly straightforward, but what do you do with partner of your own grade who is much older than you, or heaven forbid, a child who is much stronger than you. The latter is not as unusual as it may sound. At Mumeishi we have had a number of junior and middle school champions in our kid’s classes who could knock spots off some of our adults. As a rule of thumb it is best to ensure that children train together or only with experienced motodachi, but at the occasional godogeiko, I have seen a few surprised seniors as these junior tornadoes attack from all directions. The key challenge when training with children, or much smaller adult opponents is to ensure that you work on your own seme and control the situation but avoid body contact or hitting too hard. With older adults whose footwork might not be what it was, your objective could be to find good opportunities to attack against timing that is slightly different from that of younger kenshi. 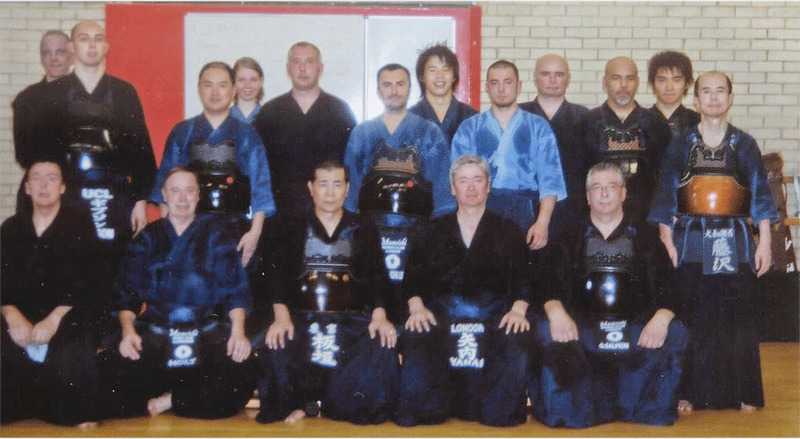 Approached with the right mind-set, every keiko is a valuable experience, but if you are constantly training with the same few people then try to visit other dojo and practise with as many teachers as you can. The timing of this year end holiday meant that I have had a two week abstinence from Kendo, my longest break for many years. This has been a chance to reflect on the highs and lows of my last kendo year and to make plans for the year to come. The highs were refereeing in the 16WKC in Tokyo and in meeting and enjoying keiko with old friends from various parts of the globe as well as making new ones. I also felt a sense of pride seeing the improvement of some of my regular keiko partners at Mumeishi and Sanshukan dojo. 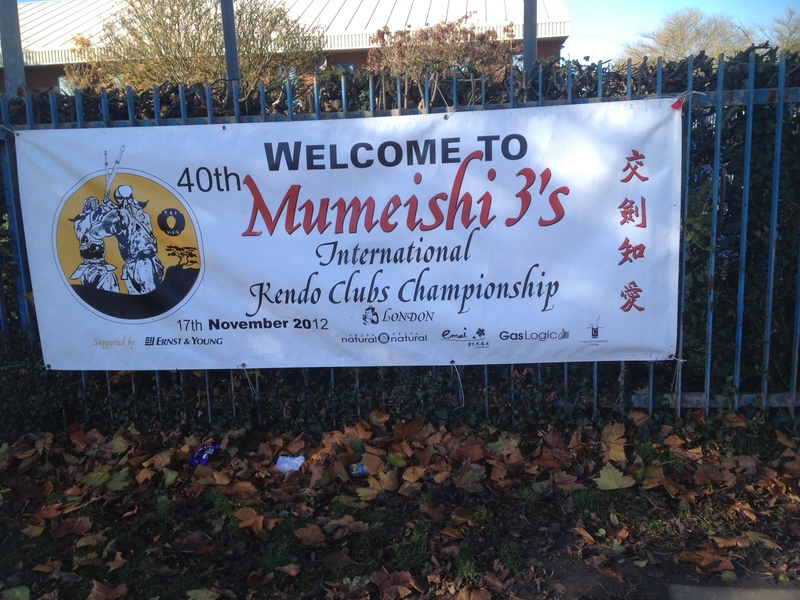 The Mumeishi 3s ran without a hitch and we are already planning the 2016 event which we hope to make bigger and better. I am now trying to get my schedule in order for 2016. So far the Brussels referees’ seminar is firmly booked, as are the annual BKA Spring Seminar in Watchetts and Summer Seminar in Kristiansand in Norway. I am also waiting to put final dates in the diary for a number of other seminars, taikai and grading panels. 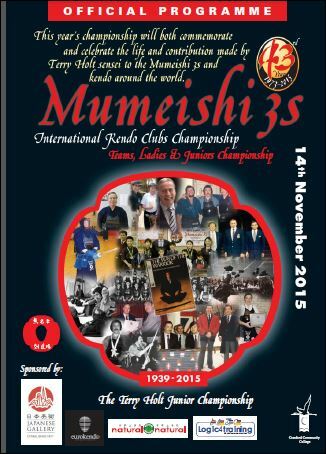 Sueno sensei will be running a Mumeishi seminar and we are looking forward to a visit from Hitotsubashi University. My wife and I recently bought a holiday home in Marbella, Spain, so I also hope to have the occasional keiko with Shion dojo. My personal kendo objectives are the most difficult to plan. I naturally want to improve my keiko, but I face the dual challenges of old age and limited access to teachers who can help me reach the next step. George McCall has touched on the point in his kenshi 247 blog that kendoka outside Japan who talk about learning from occasional exposure to Japanese teachers (forgive me for paraphrasing George), are deluding themselves. As an overseas kendoka who has lived in Japan, I can see both sides of the argument, but I lean towards George’s view. Were time and money not limiting factors, spending a serious amount of time with my hanshi of choice would probably take me to where I hope to be, that is with a fighting chance of challenging for hachidan. I am not suggesting that I would ever pass, but my objective would be to reach a level where I would not be totally wasting the shinsain’s’ time. As things stand, it is unlikely that I will be in a position to become anyone’s elderly uchideshi in the near future, so I shall have to continue to make the best of the opportunities that I have. Still I intend to enjoy the coming year’s kendo whatever happens. 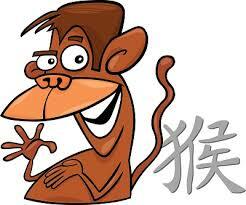 Mumeishi dojo is closed for two weeks. I am writing this just after the last Sunday practice and I am already suffering withdrawal symptoms. This is not to say that I will be going totally cold-turkey, as my local dojo, Sanshukan will continue to practice on Thursday evenings throughout the summer break, but it means that I will be cutting back my weekly keiko sessions from three to a measly one. I have to agree with my wife when she tells me that I have an addictive personality, at least where kendo is concerned. Apart from a period in my early career when work and travel kept me away from the dojo for weeks at a stretch, I have trained at least three times a week, often four times, and it was almost always five times a week when I lived in Japan. My problem has never been that of motivating myself to go to the dojo, but more one of missing kendo when I can’t practice. Even when I come back from a tough day at work and feel tired, I do not even consider the option of not going. It works like this – you have a tough day, you go to kendo and then you feel better. Kendo has worked for me on two levels: it requires intense concentration but also if you train hard enough; it can take you to a state where for brief periods you put your conscious mind on hold. 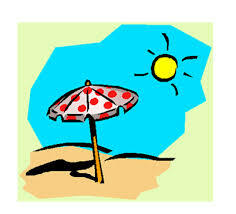 To me this is almost like taking a brief holiday from daily life. Obviously kendo can be practised outside the dojo, ceiling height permitting! We can practice suburi or shadow keiko on our own, but it lacks the feeling of training in a dojo with a group of like-minded people. More time at home gives the opportunity to study kendo books and videos, but I see this as activity that we do as well as, not instead of keiko. In reality, a two week break in kendo practice is not a lot to complain about. Many of my Japanese friends have had a sandwich shaped kendo career, where in their time at high school and university they were able to practice every day. After graduation, work and nomunication (business drinking) restricts their practice once a week on Sunday, if they are lucky. Come retirement age they are back to training once or even twice a day. I enjoy my Sunday Morning keiko at Mumeishi dojo, particularly when Holt sensei takes the Kihon practice. It means that with the exception of deciding what to eat for breakfast and whether to buy my wife a copy of the Sunday newspaper before or after keiko, I do not have to think. Even when I am leading the training, it does not take a great deal of conscious consideration, because we have done most of the routines so many times they have become second nature, but it is even more comforting to position myself in the usual corner of the dojo and be taken through a familiar routine without any thought for what comes next. This combination of Sunday morning lethargy and someone else calling the shots is my ideal antidote to the hectic work week and the preliminary session of repetitive kihon training sets me up for the following jigeiko by taking me to a state where I rely on ingrained technique rather than planning how to deal with each opponent. I have jokingly suggested that the ideal kendoka should have the stamina of an endurance athlete, exceptional leg and core body strength, lightning fast reactions and an IQ of not more than 80. In reality I believe that it is more a question of temperament than intelligence, but it is true that some of my obviously brainy friends do occasionally tie themselves in knots by too much analysis. Today one of our Japanese members mentioned that he was having trouble hitting my men. It was difficult to see why, as he has great kihon and posture, very strong kihaku and good timing, but then he confessed to thinking too hard about each attack. For some reason the harder you think about a technique the more difficult it becomes use it. The best thing is to do any analysis outside the dojo in the comfort of your home, favourite bar, or coffee shop and to spend your dojo time practicing with minimal consciousness. As we have discussed before on numerous occasions, the only way of combatting the Four Sicknesses (Shikai) of surprise, fear, doubt and hesitation is to make or take your opportunity and then to attack with total commitment. The only way to gain the ability to do this is from regular, hard, intense kihon geiko. We strive in kendo to achieve rin-ki-o-hen , the state in which we are instantly able to react to opportunities and changes in our opponent. For most of us this remains an ongoing quest. Nevertheless the ability to put the conscious brain on hold however occasionally is both good for our kendo and our lives outside the dojo.